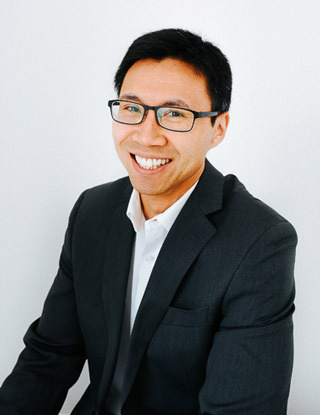 Edmonton Chiropractor Dr. Kenny Chan and his integrated team at Action Chiropractic & Massage Therapy Clinic offer a range of solutions to help you feel better and recover your well-being. In practice for nearly two decades, Dr. Chan is well-versed in assisting a variety of concerns. All ages are welcome at Action Chiropractic & Massage Therapy Clinic. Our patients range in age from babies up to senior citizens. Our team’s mission is to help you regain your health, allowing you to live actively. We believe every individual deserves a chance to live without discomfort. The many services we offer are designed to get you back to enjoying your life, free from pain and worries. Whether you’ve been in a motor vehicle accident, had an injury at work, have put up with pain for years or simply want to live a richer, more fulfilling life, we’re here for you. How Can We Help You Heal? Dr. Chan’s chiropractic care involves personalized health plans that are tailored to what’s best for your body and your particular goals. You’re looked at as an individual, and we love getting to know you and understanding your life. With this comprehensive approach, we hope to find the perfect solution for your situation. We’ll also educate you about your health and what you can do to maintain it in the long term. We can get you in on the same day for immediate attention. Contact our friendly team today to get started! Insurance coverage can also be used for your visits. I really appreciate the comprehensive approach at Action Chiropractic & Massage Therapy Clinic. I feel like they care about my complete wellbeing. Great people. Very nice and approachable. Highly recommended. Very excited to see my progress through treatments planned! The treatments are excellent and enjoy coming. I highly recommend others to come to clinic. Friendly and welcoming staff – thoroughly enjoyed my visit and will be back! I had severe shoulder and neck pain, I only had one visit and already feel better. I look forward to continuing to see Dr. Chan. I felt confident I was in capable hands. Instant pain relief on my lower back, thanks Dr. Chan. The entire staff was a pleasure. I think you guys are doing a great job! Great experience, professional and knowledgeable. Honest people with very professional welcoming smiling face. Thank you for doing what 4 doctors couldn’t, provide an answer and a treatment plan! Dr. CHAN, ERICA, Kim and the rest of the staff were professional and sincere. I’ve had treatments here before and wouldn’t try another place. Excellent first visit. I am happy I made the decision to come. I look forward to the next few visits, and am confident I will experience a great outcome. Just a helpful and hopeful atmosphere all around. This place makes you feel like you WILL get better over time. Thank you Dr. Chan for getting our backs fixed. Very professional practice. You always leave feeling like the team cares about your health. Very professional staff and helpful. Always a very comforting experience and everything with a smile.